In today’s highly competitive environment, manufacturers need to have agility to adapt quickly to market changes. Feasibility of a product idea is time-sensitive. Conventional product design principles and techniques are unable to keep up with this pace. 3D printed consumer product design approach aims to empower manufacturers by enhancing collaboration, saving time in prototyping and thus reaching the market and the consumers faster. With the 3D printed consumer product design approach, the designers get a crucial feedback in the early design stages, making product development faster and efficient. 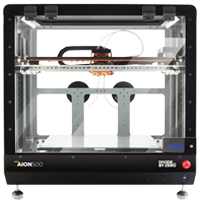 3D printing in product development process is ideal for rapid prototyping, functional testing, concept models, customized parts, and limited production runs to name a few. 3D printing solutions can empower manufacturers to achieve results quickly. Reduce Costs: Outsourcing prototypes takes days and is expensive. Every change and iterations to the design leads to additional costs. With Divide By Zero 3D printers empowers users to create prototypes in hours and create multiple versions, at a fraction of the cost. Risk Reduction: 3D printed consumer product design approach helps designers test and identify future design and manufacturing problems. With 3D printing, designers get a real-life version of the product to study, improve, and optimize. This reduces risk by testing a design before making any tool investments. Risk of product idea leaks and violation of Intellectual Property (IP) can be minimized as prototyping can be done in-house. Real-Life Perspective: Drawings, blueprints, or digital 3D models cannot emulate “real-life” perspective offered by their 3D printed counterpart. This modern way of prototyping has provisions to incorporate human factors and ergonomics (HF&E) in design. These visually stunning prototypes can also be helpful in creating, presenting, and pitching new product design ideas, and thus creating more business opportunities. 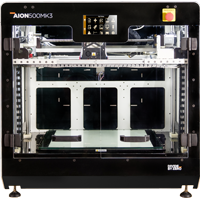 From ideation, design iteration, and validation, world-class 3D printers from Divide By Zero can be a go-to solution for all your product design needs. With rapid prototyping powered by 3D printer, you bring your product design ideas from concept to realization faster than ever and at a minimized cost. With our premium industrial-grade 3D printers, Divide By Zero aims to inspire designers to push the boundaries of product aesthetics. Product designers can opt for Divide By Zero’s compact, affordable and noise-free Accucraft series to bring their design ideas to life. 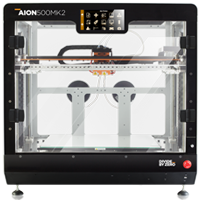 On the other hand, product design firms can opt for the Aion 500 series – a series designed for larger applications delivering the benefits of low volume batch manufacturing. Allow your business to reap the benefits of a 3D printed consumer product design approach. 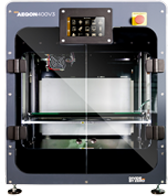 Be it sleek electronics, consumer durables, product packaging, or any customized product design, you can count on our accurate, efficient, and affordable 3D printing solutions. Revolutionize your product development stages, design efficiently and reach markets faster with Divide By Zero 3D printers. Our solutions have helped leading product designers overcome their challenges and make their design process efficient. Read some of our success stories.